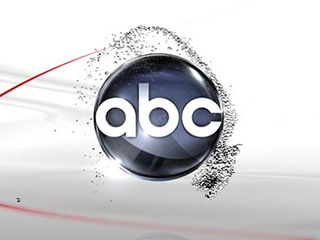 ABC lets us know how proud they are about the performance of No Ordinary Family, Dancing with the Stars (the results version) and Detroit 1-8-7. Please note that the information sited below is based on the preliminary ratings and are likely a bit different from the final numbers which are issued later in the day. Some early points on ABC’s Tuesday, ahead of the regular press release. Finishing #2 on the evening (10.8 million) to CBS, ABC drew its biggest overall audience on the night with its regular line up since 10/5/10. Winning its 9 o’clock time period in viewers (16.8 million) and young adults (3.4/9), ABC’s Dancing with the Stars: The Results attracted its largest audience in the hour in 6 weeks and posted its top Adult 18-49 rating in 4 weeks – since 9/28/10 and 10/12/10, respectively. Former NFL star Kurt Warner was the eighth celebrity to be eliminated from the ABC dance competition this season. DWTS: The Results registered as the 2nd-most watched TV show on Tuesday, behind only CBS’ NCIS. Returning after it preemption the prior week for election coverage, ABC’s Detroit 1-8-7 once again ranked as the 2nd-most-watched TV show in the 10 o’clock hour, outdrawing NBC’s sophomore drama, Parenthood, for the 7th consecutive telecast (+2.8 million viewer advantage – 7.8 million vs. 5.0 million). The ABC drama also topped its NBC drama competition with Adults 25-54 for the 6th time in 7 telecasts this season, including each of the past 3 matchups. No Ordinary Family: ABC Cuts Episodes, Cancelled Next? No Ordinary Family: ABC Family Action Series; Cancel or Keep It? Why in the world is The Whole Truth being pulled? In the judgment of our family — senior adults — we think this is among the top 3 of the new shows. We were very excited to have this show on our “must watch” schedules. Please, at least show the rest of the completed episodes — then reconsider a second season!